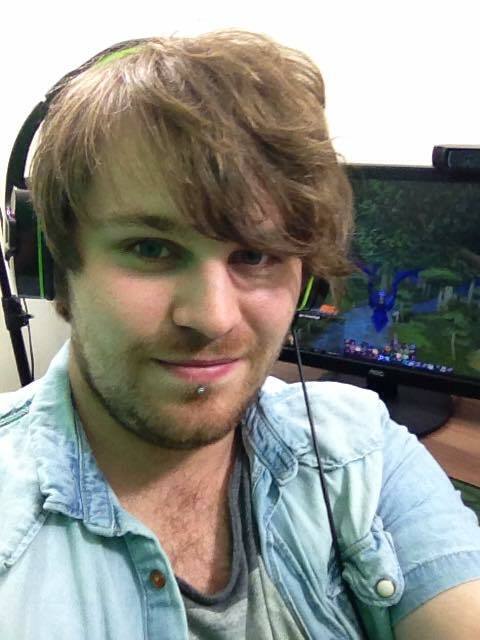 Most of our readers here will have a good idea of who you are but for those who don’t know could you tell us a little about yourself and what you do..
My name’s Craig, I’m a 22 year old YouTuber and streamer from England, I initially started my channel in April 2014 from doing World of Warcraft Machinima videos, after releasing a few videos I decided to branch out into other things such a World of Warcraft discussions, Top 10’s and guides. Right now I am in the process of branching out into other games and genres via a new series I’ve started called “First Impressions: Is It Worth Playing” where I’ll play a game requested by my viewers for around 5-10 hours and condense all the best parts into 15-20 minutes. So far It’s been really well received and has brought in a new audience despite me making a few mistakes in some of the games. 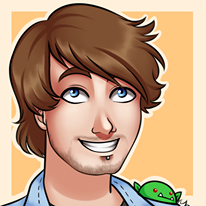 I also stream World of Warcraft once or twice a week on Twitch TV where I’ll try to answer as many questions from the fans as possible and get them involved with games. What was it about YouTube/Twitch that made you want to get into it? YouTube has always been a platform that I’ve been a big fan of, I love watching channels and personalities develop and grow. When I started out I just wanted some feedback for my videos but as I got more and more positive comments it made me want to push myself and grow. I feel like YouTube is a platform where you can really start to snowball once you gain that initial following, as for Twitch I like how it allows you to connect with your fans on a more personal level and be a little more relaxed. What advice would you give to people looking to start up their own Channel? At first It’s going to be hard, competition on YouTube and Twitch are both really high, the key is honestly to not give up. So many people make channels and do a few videos and quit from not seeing the results. For me YouTube is like fishing, each video you put out is like putting a new hook into the sea and the quality of your videos determine how good the bait is, the more videos (hooks) you have the more people will discover you and it’ll eventually snowball from there. Make your own channel for fun as a hobby and don’t focus on making money from it initially as it’ll only cause you stress and it won’t work out long term. Try to invest in a decent set-up, good mic/webcam spend time editing your videos and remember that It’s better to spend one week making a quality video than five minutes making a bad one. Quality over quantity every time. Your Channel features all things MMO, what is it about that genre that made you want to base around it? I just love the multiplayer aspect and being part of a huge group of other players, for me MMO’s has always been an escape from the real world where you can be someone totally different, I’ve also made some amazing friends in the real world from playing MMOs. Viewing your videos it’s not hard to notice you are a big World of Warcraft player, tell us a little about how you got into it and why you enjoy it so much..
WoW was one of my first MMOs it hooked me in almost immediately, I had to play it in secret for a long time since my parents were scared of the game due to hearing about how addictive it can be. I loved how I could upgrade my character, explore a massive world and that feeling of just being a part of something much bigger than yourself. What do you think of the new WoW expansion? It looks promising and has some great ideas, however so did Warlords of Draenor initially, as much as I love World of Warcraft I can’t deny that Blizzard have made some huge mistakes and let down a large portion of the player base in recent years. We had patch 5.4 which lasted 14 months and WoD had the least content we’ve ever seen in an expansion, I’m excited but I’m not gonna jump on the hype train too much in case we’re let down again. I feel like this expansion will be the most important one so far in seeing how much longer the game will last. How do you feel and think about the latest decline in players? Totally to be expected, such little content and so many awful gameplay decisions as well as putting more things than ever on the in game store? Yeah… that’s not good, as the largest MMORPG for the past 10 years players expect and deserve better. There’s a lot more competition in the MMO genre now, you’ve got Elder Scrolls Online and Final Fantasy A Realm Reborn which are both fantastic MMOs filled with content. I’m not surprised people are going elsewhere, another big factor to consider that Warlords of Draenor cost more than any other WoW expansion and has the monthly sub fee, a lot of players feel like they’ve been ripped off. If you could spend a week at Blizzards Studio what would you change or suggest they do to WOW? I guess I’d show them a few features that other MMOs have and suggest that they implement it in WoW “Guild housing, Better level scaling tech to allow high and low level players to group up, an in game means of learning about lore, ship sailing mechanics”. The list goes on, but the main thing I think would help is if I could change the companies attitude towards to player base, I feel like in recent years since partnering with Activation Blizzard have become more disconnected from their players and focus more on profits than making the best damn game possible. You have seemed to play plenty of MMOs in your time, what has been the worst and why? I played SkyForge recently and didn’t enjoy it too much, in all fairness the game’s still in Beta but I didn’t care for the lore, the classes got boring very quickly, the UI sucked and I had to stop playing it early from being so bored with the questing, the game had a few good ideas but nothing about it compels me to try it again. What do you think it takes to make a good MMO? In recent times a non-pay to win business model, so many MMOs are free to play now and allow you to buy power or make things so awkward for you that you have no choice but to pay unless you want to deal with a huge convenience or grind for days. I hate this business model, I’m fine with micro transactions as long as they’re cosmetics only and don’t take away content from the core game. The perfect MMO for me would be a Buy To Play business model with plenty of vanity items available for purchase optionally (Like Guild Wars 2) highly customization player housing like Wildstar or Final Fantasy A Realm Reborn, A massive open World like WoW, Immersion and class identity to the level of Elder Scrolls Online and explorable oceans like in Archeage, as well as a personal story line/questing system like Star Wars The Old Republic and GW2, if someone was to make a game like that then 10/10 would play and not leave my house for a few months. What are the future plans for you and the Lazy Peon Channel? Develop more as someone that gives critique as in the past I’ve done a pretty awful job of it, branch out to new genres and introduce more good games to my audience. I want to recommend games that I thing are genuinely good and call out blatant cash grab clones, so basically help people make good consumer decisions when buying games. What was the first video game that you played? Sonic the hedgehog 2 on the Sega Mega Drive, I never quite managed to complete it. 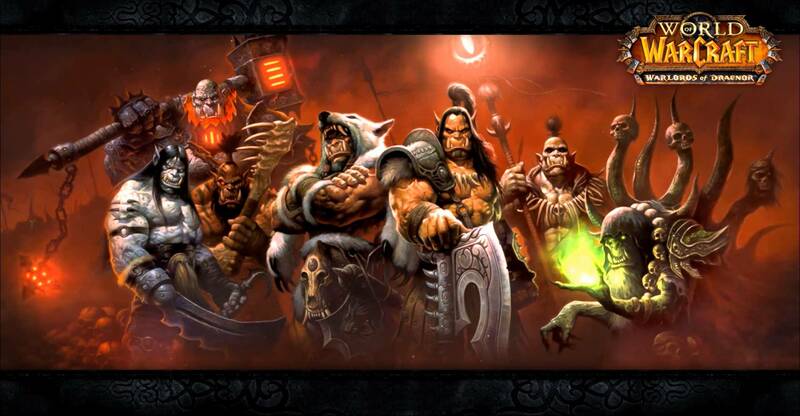 Apart from WOW what are some of your other favourite games? Being a YouTuber and streamer what are some of the YouTubers and streamers that have inspired you? TotalBiscuit inspires me a lot with his attitude towards the gaming industry and the professionalism he shows in his videos, I’m also a fan of NixxiomMachinima, Mooclucking, Big Matty, WoWCrendor and Nobbel87 in the WoW Community, SodaPoppin and Mitch Jones are my favourite streamers because they just make me laugh. If could live in any video gamer world which would it be and why? I’d live in Azeroth (World Of Warcraft) as a Male Night Elf Druid shape shifting and chilling with nature. If you could have any video game soundtrack playing the background for your everyday life, what would it be and which tracks? The Burnout 3 or Tony Hawks soundtracks, they introduced me to Metal, Punk and Hip Hop. If world of Warcraft classes and races existed in real life what would you be?